Acclaimed Manchester 5 piece Puppet Rebellion are back with a fantastic new single. Stuart Ralston has a listen. Since forming in 2013 they have released 2 EPs and built up a substantial local following. Their sellout hometown shows have been raved about, and with their fan base elsewhere in the country steadily building, frontman Simon Monaghan unexpectedly quit the band last summer. The band continued with Simon's blessing and the search for a new vocalist began. 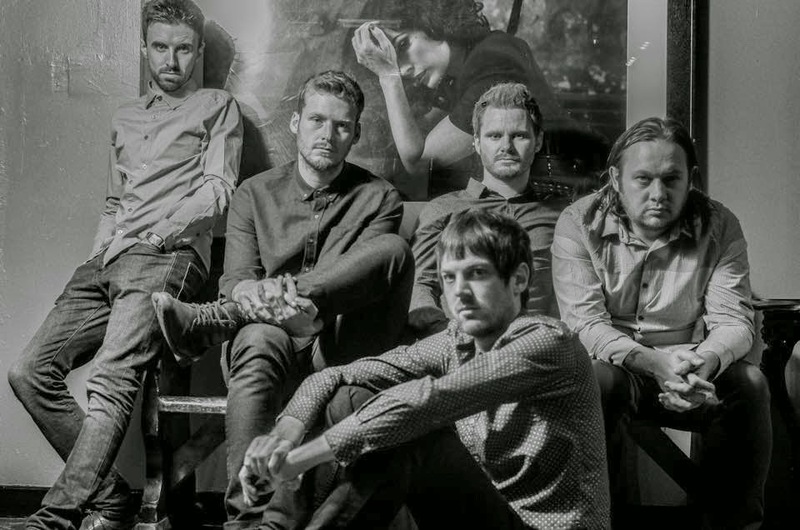 Oliver Davies joined the ranks and following a successful low key comeback at Manchester's Castle Hotel, the band are about to promote the new single with a UK tour. Like their previous EPs, they don't have an A-side or a B-side. This single is no exception with both tracks being equally as powerful. The line up change is almost seemless as Davies delivers a lead vocal in a similar style to that of Monaghan. Watch Me Fall picks up where the No Means Yes EP left off - an upbeat, sharp, powerful rocker as we have come to expect from Puppet Rebellion. Claim To Fame is even better. A funky bassline, a driving guitar and a soaring, almost anthemic vocal from Davies on this reworked new old song. Watch Me Fall cements Puppet Rebellion's position as one of Manchester's finest new bands. We await the debut LP.